Unique forum of expert lectures, industry dialogue and live presentations showcases line solutions for efficient processingof bacon and ham. Over the course of three days, Weber Maschinenbau in early November yet again offered a unique event format to its expert audience of industry professionals from around the world. 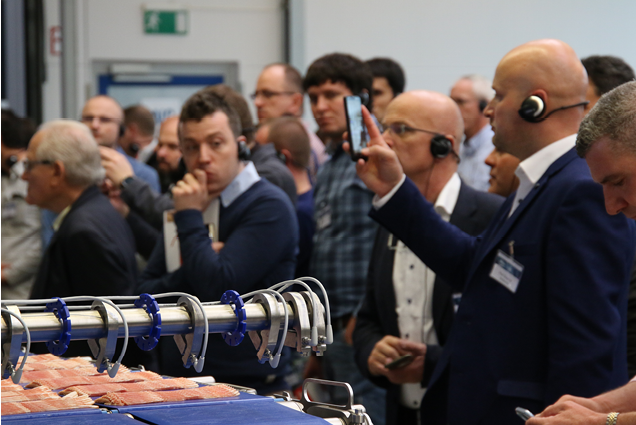 More than 300 Weber customers and partners answered the system provider’s call to its headquarters in Breidenbach near Frankfurt in the heartland of Germany, enjoying greatly a program rich in expert lectures, industry dialogue and live presentations. This year’s focus: innovations in efficient processing of bacon and ham. „The amount of positive feedback from our visitors is extremely encouraging that our idea and intention of holding this event was right, so that we will definitely establish it as a fixed part in the calendar of the food industry”, summarizes Peter Schulz, Managing Director of Sales and Marketing at Weber. “We have always felt that these Weber Innovation Days should give us and those we are privileged to work with a truly unique and second-to-none combination of insider know-how and technological innovations. Even customers from Mexico have accepted the long journey to Weber in Breidenbach, in order to not missing this event.” Neither at regular trade fairs nor on congresses,there is a chance to accomplish so much through personal contact between manufacturers and application expertsand to have time for true dialogue in a relaxed setting. This year‘s Weber Innovation Days were opened with an insight into important new findings in research, technology and practice.Three expert lecturers from DLG (German Agricultural Society) referenced current trends of market, consumption and production, pointing out the high level of volatility in today’s meat industry. How best to tackle such developments and trends and how to slice and package bacon and ham with great flexibility and profitability was then shown in live presentations ofthe best-ever Weber lines. It was a total of eight slicing and packaging concepts that went on to demonstrate up close that slicing, transport and packaging of bacon and ham at the highest level of precision is possible even at maximum performance. The focus, however, was not only on performance: every line represented a customized solution for different applications.What became evident yet again to everyone in attendance was Weber’s outstanding and comprehensive line competence. 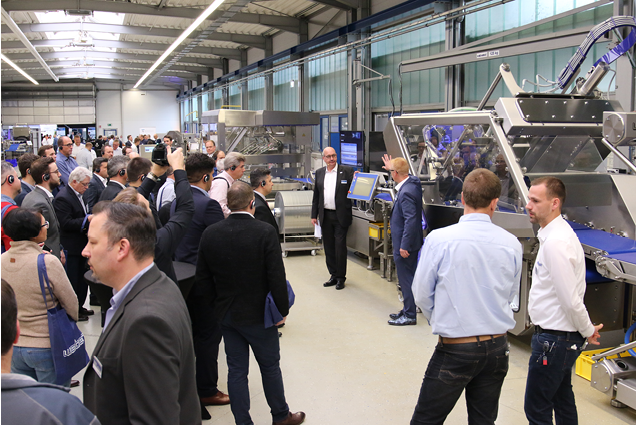 „Slicing and infeeding at its best“ was shown by one line that consisted of a Weber Slicer S6 together with the Weber CompactBuffer, Weber PickRobotand thermoformer Weber VMAX. Such a fully automated line is the epitome of high performance and maximum yield.Visitors witnessed just that when they observed live a 2-fold Serrano ham application that was sliced and interleaved completely track-independent. The horizontal and especially compact buffering system – appropriately named CompactBuffer – ensures a diligent transport of all sensitive portions to the latest generation of Weber’s PickRobotwhere they are picked, turned by 90° and placed precisely into the Weber thermoformer VMAX. This once again shows very well Weber’s great line competence: thanks to a perfect integration of all single modules, the PickRobot can feed the portions into an advancing index of the packaging machine. One more highlight that was met by the audience with great excitement was the Weber Slicer 804 combined with the Weber ShuttleSystemand theWeber PickRobot. The fact that this line is characterized by the highest possible flexibility was demonstrated by the creation of attractive variety packs – with portion designsthat cannot be found on the market so far. There is no limit to creativity and options with this line from Weber. 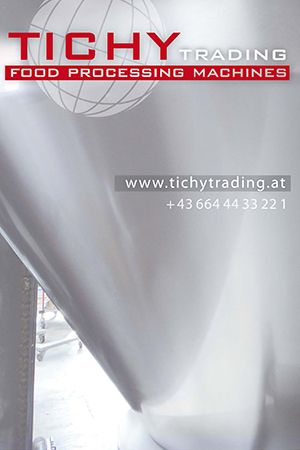 Important to note: The sensitive products are transported nondestructively by the portion carriers of the Weber ShuttleSystem from the slicer to the insertion point at the packaging machine.Thanks to the Weber ShuttleSystem, portion transport always works that way even at the highest levels of speed and performance. The live presentations were always guided by Weber experts out of development, sales and applications tech who knew to talk about many relevant and important details in different fields of applications, special features and options for process optimization. „Our colleagues spent quite some time even after the presentations to talk at length to our visitors who were thrilled with what they had seen and who wanted to know more going forward. That was wonderful to see and what makes us especially happy is that the aspect of our holistic line solutionsfrom a single source was seen and appreciated by this expert audience as something of true added value”,rejoices Peter Schulz. Just as in 2017, this year’s Weber Innovation Days featured an exhibition of 16 suppliers with whom Weber shares a long-standing and trusted history of cooperation and partnership. Their valuable developments along the entire process chain of bacon and ham processing, e.g. out of the areas of packaging materials, weight-checking and other inspection technology, were a true enrichment of this event as well.